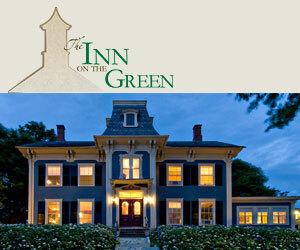 You will enjoy your visit to the Middlebury when you stay at the Inn on the Green. Each guest room offers a private, en-suite bathroom and is furnished with a queen bed, two comfortable chairs, satellite HD television, telephone, alarm clock, hair dryer, and ironing facilities. Some rooms and both suites include additional beds to accommodate families or larger parties. Free high-speed Wi-Fi internet access is available in each guest room, and a computer and printer/scanner are available if you need to use them. All rooms have individual temperature control including air conditioning in the warm months. The Inn is a non-smoking environment. Your stay includes a complimentary continental “breakfast-in-bed” each morning. Typical servings offer an assortment of juices, fruits, fresh locally-baked goods, Vermont cheese and yogurt, granola, oatmeal, and hot beverages. Breakfast will be ready when you are, just tell the innkeepers what time you’d like to eat. Breakfast right to your room, no problem and great for your convenience and privacy. Inn on the Green also offers you complimentary coffee/tea service and snacks, and provides nightly turn-down service including a yummy Lake Champlain chocolate left on your pillow. You’ll find luxurious, plush bathrobes in each guest room, and be sure to try the outstanding Aveda hair and skin care products provided as guest amenities! A highly recommended downtown Middlebury Vermont Inn. Ask us about Middlebury Vermont lodging. If you would like to add your Vermont Country Inn, Lodge or Bed Breakfast Inn to this web site, please contact us.